Invictus Farm proudly presents I Love You (Cass) by Hofrat out of a Donnerhall mare. Cass is a very talented 2013 imported KWPN gelding with three quality gaits to get you noticed in the show ring. This fabulous gelding is very forward thinking, easy and safe. Cass is currently schooling all of the second level with a very green change that is coming along nicely, he is very balanced, comfortable and compacted. This cute smaller gelding is perfect for an ambitious JR or Up and coming Professional looking to bring a quality horse along. 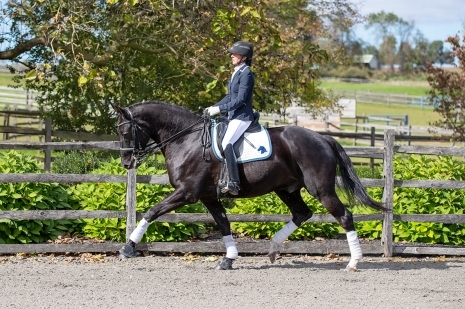 This young horse has the quality, the brain and the gaits for the Young Horse Program. Cass will be showing during season in Wellington 2019 .